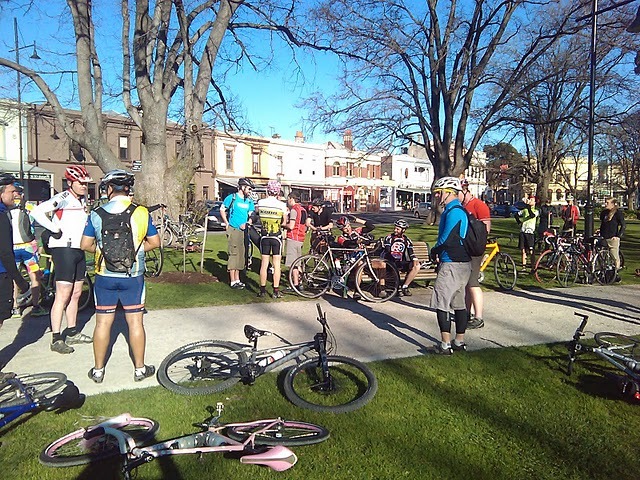 Riders congregated in the park just outside the Williamstown Information Centre ready for a nice sunny day in the saddle. Not a cloud in the sky. Numbers were down this time - only 33 riders - about half of what we usually get. 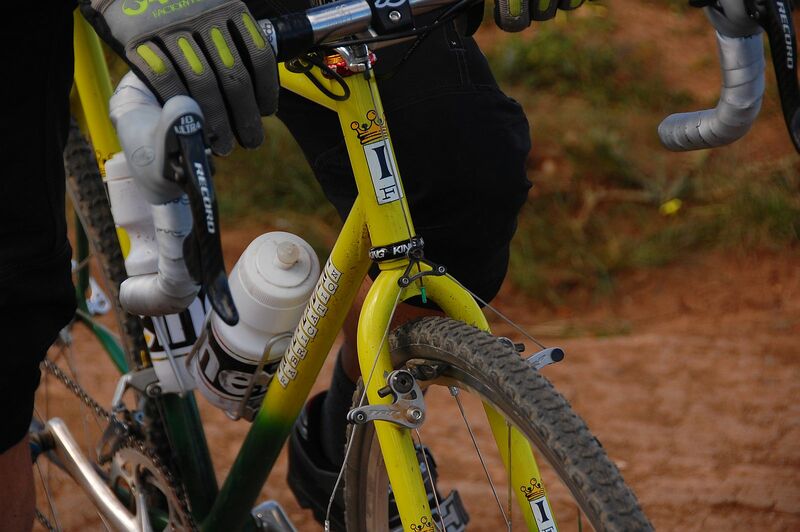 Looking at the full results tells the tale - the MTB contingent obviously couldn’t bring themselves to spend their precious weekend on flat dirt roads when the warm and dry weather has got the trails in such awesome condition. I don’t blame them! 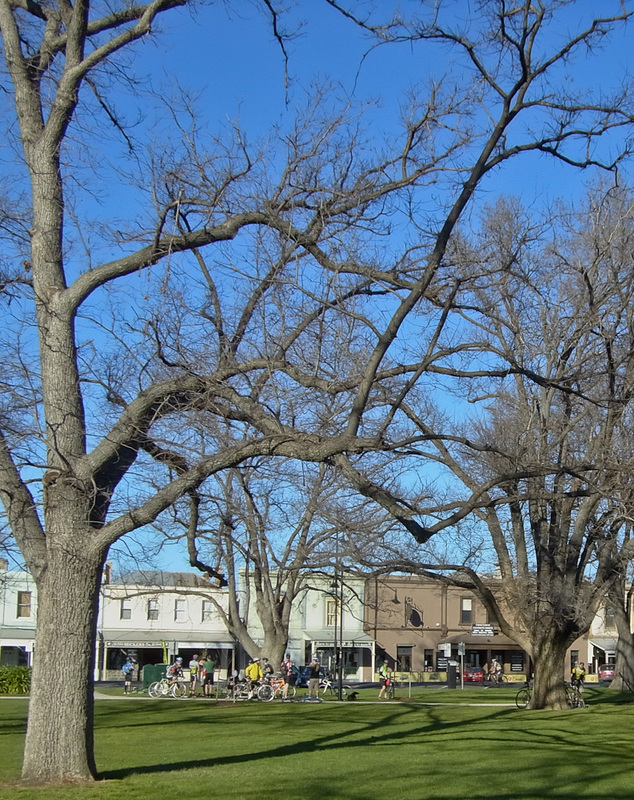 So it was mostly CX bikes that rolled out of Williamstown at 9am amid the already busy tourist traffic. There were a few outliers though - Sean and Oliver on their roadies for instance. Allegedly Sean’s full carbon Ciocc was running 24mm tubulars at 150psi. Fact or fiction? I guess we’ll never know - they attacked as soon as the gravel started and quickly gapped the field, arriving at the first checkpoint in Rockbank well before everyone else. The shame of disrespecting the gravel with such inappropriate bikes must have been too much for them because they bailed out after they’d finished their coffees. I don’t know where they rode to next but they probably went there really really fast. Thanks for dropping in Sean and Oli! The next to arrive at Rockbank was Karl on his all pink surly 1x1, replete with love heart stickers and pink streamers on the handlebars. 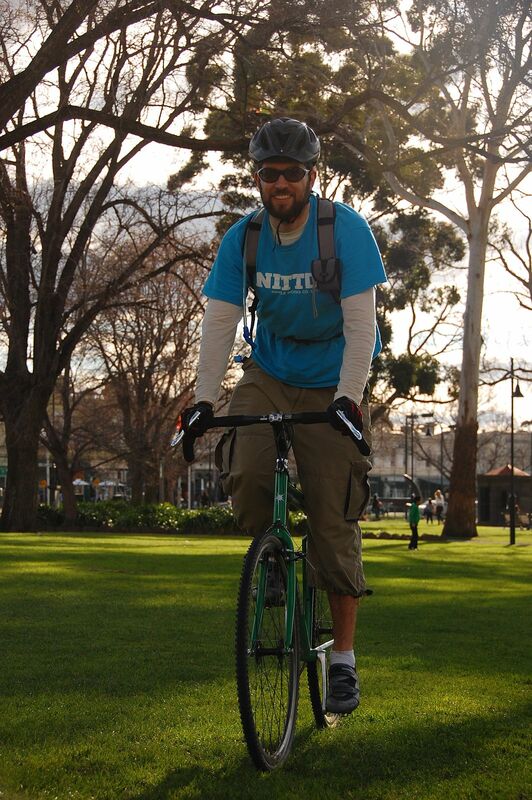 In fact, Karl stayed in the lead from Rockbank all the way out to Toolern Vale and all the way back to Williamstown. 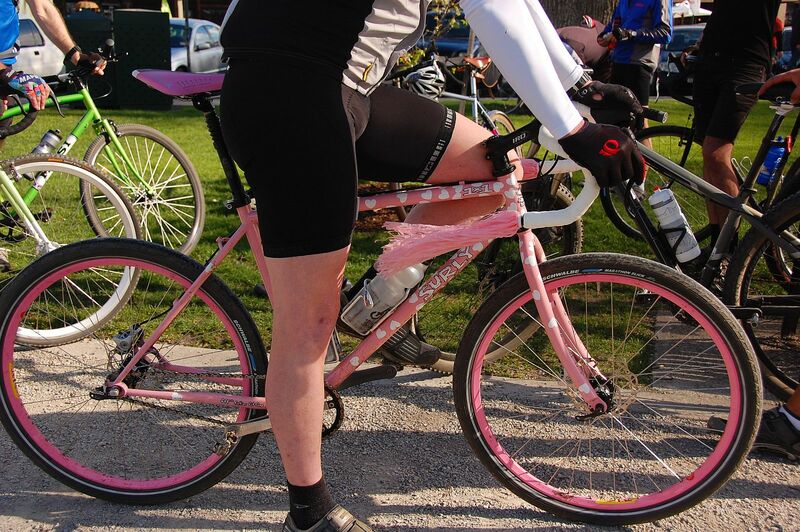 On his pink singlespeed. With love hearts and streamers. He arrived back in Willy about half an hour before anyone else - said he was spinning 120-140rpm the whole way back with the wind pushing him from behind. Turns out he’s no stranger to 24 hour solo MTB events so it’s no wonder he treated this little ride as a sprint. 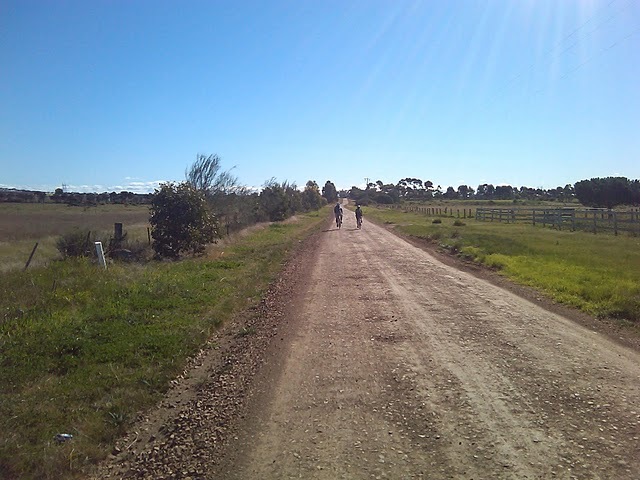 Apparently everyone else took the ride at a more relaxed pace, speeding up to avoid chasing yappy dogs, slowing down for road-crossing tiger snakes (!) and heading north, north into the hot, draining wind. It wasn’t blowing a gale but the wind was insistent and the barely noticable gradient did tend perceptibly up towards the halfway point. I think most riders were relieved when they finally hit the main road and turned out of the wind for the short paved section into checkpoint 2 at Toolern Vale. 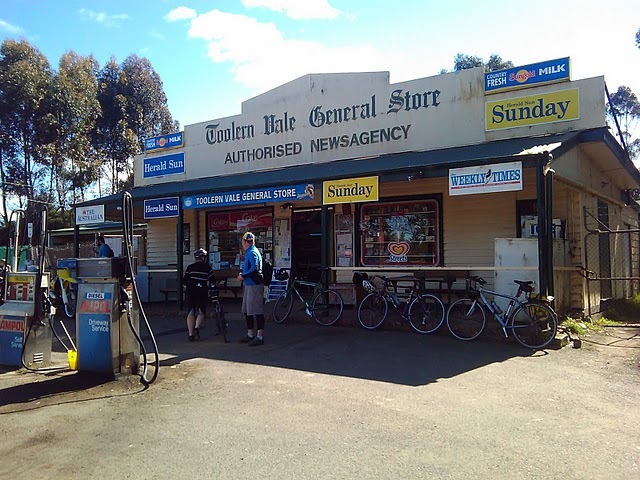 I don’t know how many riders noticed the sign above the door of the Toolern Vale General Store that read “Licensed to sell ammunition”. Yep, this was pretty far from the Williamstown tourist trap. 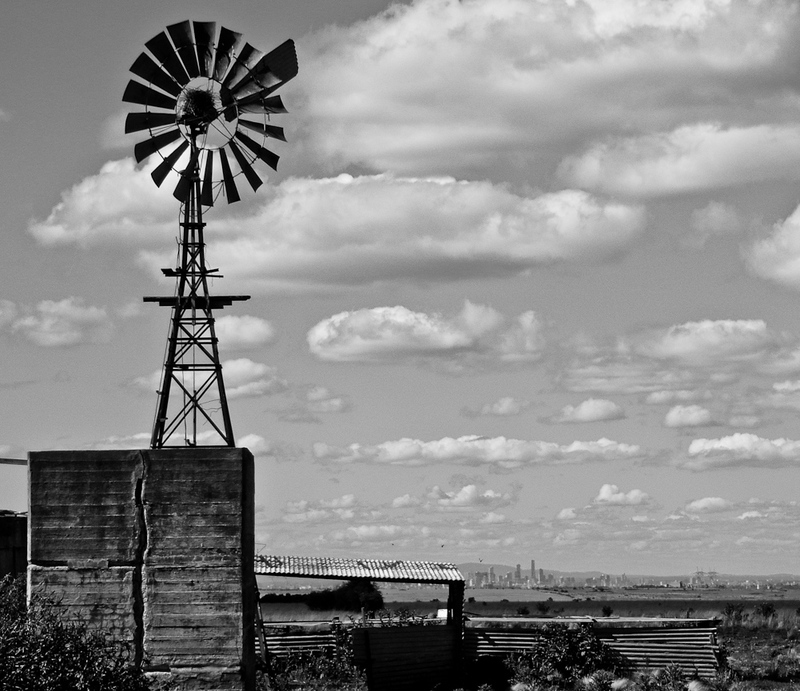 But, by all accounts, the locals were nice, what little traffic there was on the course was polite and there were no incidents reported, despite the preponderance of completely shuttered houses in the middle of nowhere and huge compounds topped by what appeared to be gun towers. The local shop-owners were clearly enjoying the spike in business so it was smiles all round. A number of riders expressed concern at the size of the burger Ben purchased at Toolern Vale though which was apparently as big as his head. He said he downed it in ten minutes and got straight back on the bike. Clearly he’s done this sort of thing before. There were a few bailouts at Rockbank. The day was quite warm and the wind was taxing. 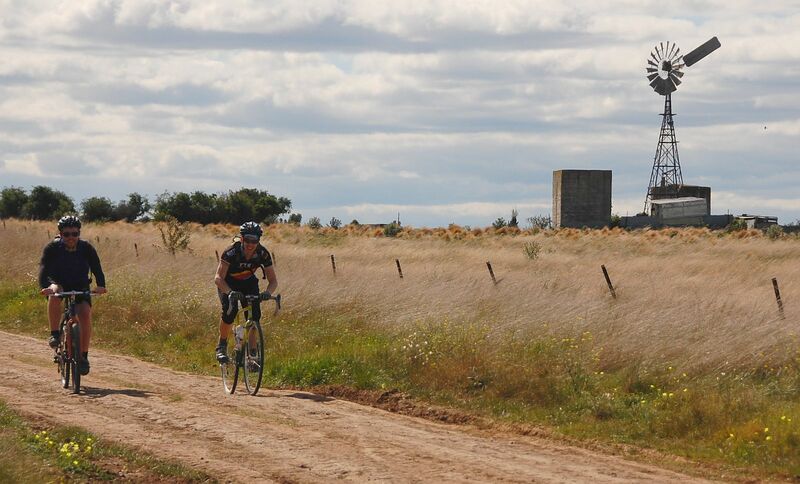 Those that persevered reported that, while the terrain wasn’t challenging, there were a number of close calls involving too much speed and/or poor line choice that found riders deep in one of the many windswept gravel drifts trying to ginger their bike back onto the hardpack. Sketchy! 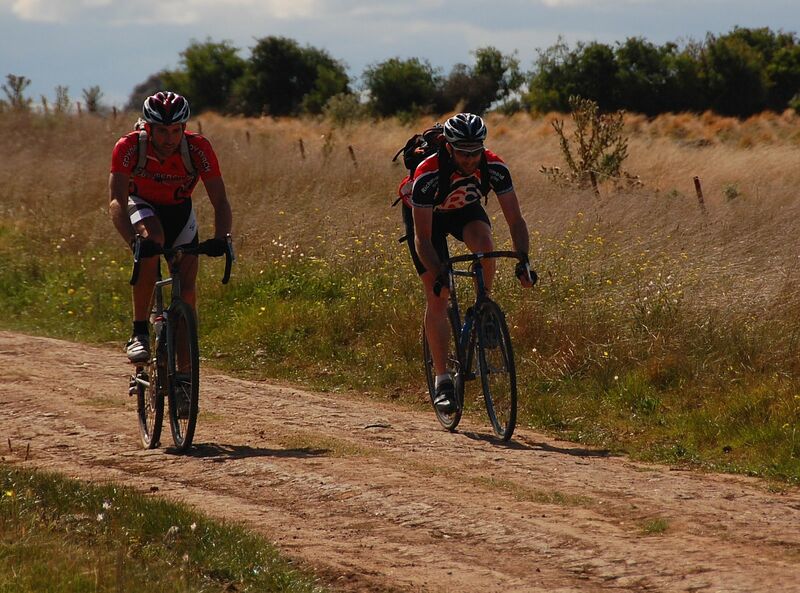 There were a number of punctures reported - probably pinch flats from the rough hard ground. I’m still not 100% clear on the chain of events of one particular saga but I think it started when Reuben flatted while riding with Tom. 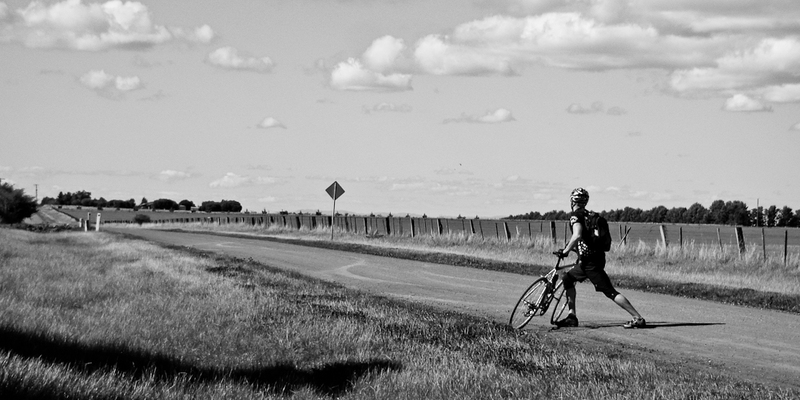 Then he flatted again so Tom gave him his spare. Then Tom developed a slow leak. He got sick of stopping to pump it up every few k’s so Blakey suggested they try and stretch one of his 650B tubes onto Tom’s 700C rim. Apparently this doesn’t work so well and they spent ages getting the too-small tube to sit in between the tire and rim and then even more ages trying to stop it from poking out from under the bead. When everything appeared to be seated correctly they pumped and pumped and pumped and... nothing happened. They’d well and truly mangled the tube in the attempt to get it to fit. So, they went back to Tom’s tube with the slow leak and tried to find the hole so they could patch it. It proved almost impossible to find and only some quick thinking saved the day - Blakey spied a muddy old puddle on the side of the road, submerged the tube in it and, sure enough, found the leak. They patched it up and, after tweaking Tom’s front hub to remove some play and tightening his loose bagman support, they were good to go. Finally. There were a few other riders of note. Nik was the only one to ride fixed, on his enormous Il Pompino. Greg claimed podium position for the over-50’s category, riding singlespeed and in full Mapei kit. 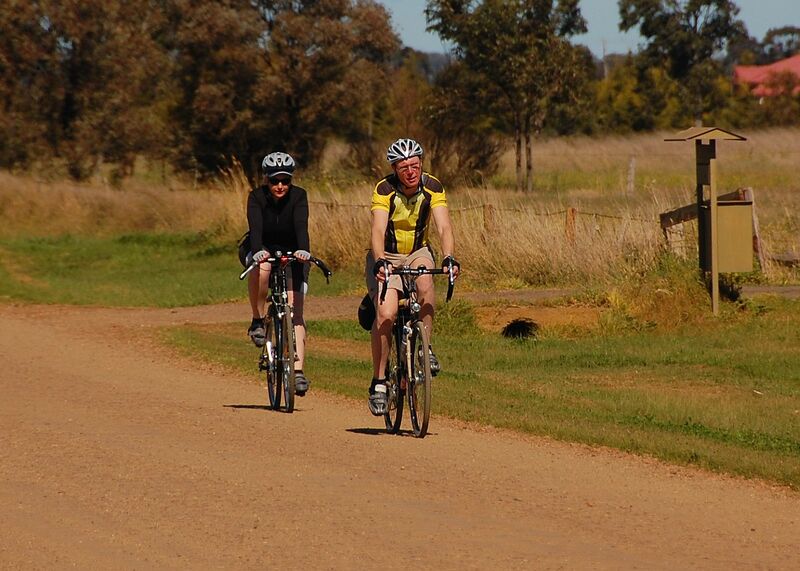 A couple of the riders - Alfred, John and Jeremy - are doing Tour de Timor in a couple of weeks - sounds amazing! 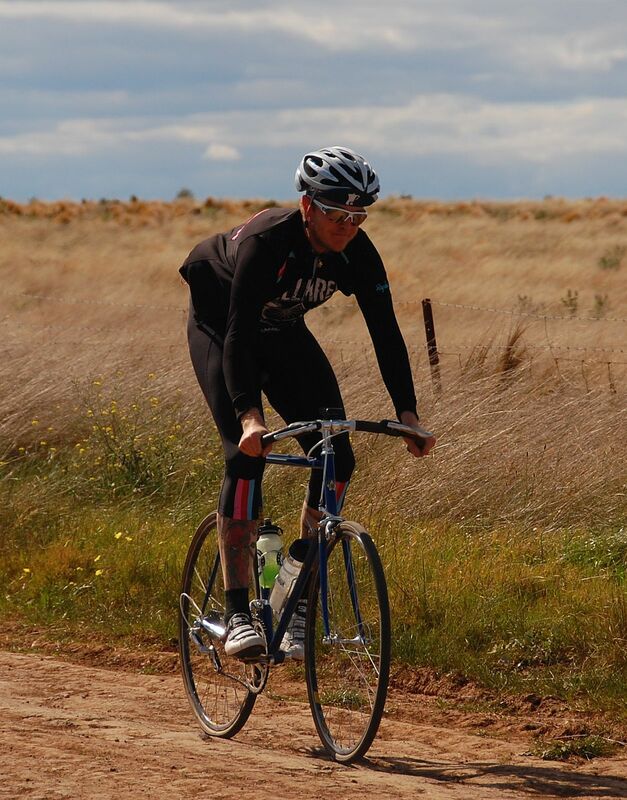 Oh, and a special mention goes out to Chris who rode his bling new Independent Fabrications CX bike with battered and bruised ribs after binning it hard on the Yarra Trails the day before. Panache! So the day wound up about 3pm with fish’n’chips and beer in the park at Williamstown as the tourist throng flocked around us and bought thousands and thousands of ice creams and walked thousands and thousands of dogs while so many petrol-heads roared up the main street doing “willies” in their ridiculously noisy cars. In closing, a great day was had by all and many noted that these rides seem to attract a real friendly and diverse crew. 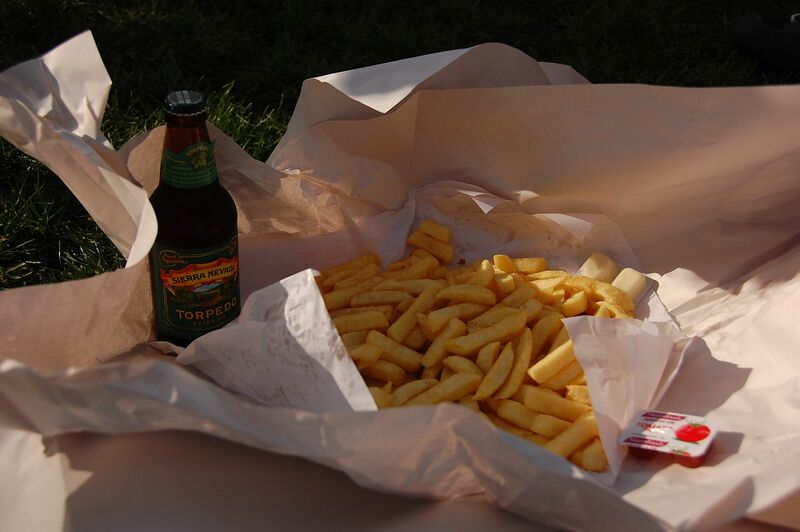 MGG #4 loser must be awarded to “The Town Fryer” whose self-proclaimed “Best fish’n’chips in Williamstown” were given a big “Meh...” by most who tried them. MGG #4 winner goes to the flock of sheep that Blakey saw who were feasting on a trailer-load of fresh trimmed broccoli heads being thrown into their paddock by a generous farmer. Sounds like Blakey was eyeing them off jealously and if his bag wasn’t already full they may have had some competition. Another fantastic ride guys. Thanks heaps for organising these, they are a highlight on my riding calendar.